The island of Curaçao was discovered by the Spanish expedition in 1499. When the Netherlands achieved independence from Spain in 1634, its colonists started to occupy the island. The island gained the self-government on January 1, 1954 as a part of the Netherlands Antilles, also consisting of Sint Marteen, Saba, Sint Eustatius, Aruba and Bonaire. Aruba was the first island to secede in 1986. During the 2000s National referenda were held across the islands, concerning the separation from the Netherlands Antilles. 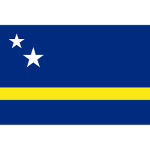 On October 10, 2010 the Antilles were dissolved and Curaçao became a country within the Kingdom of the Netherlands, the latter retained the responsibility for foreign policy and defense. Anniversary of dissolution of the Antilles is known as Curaçao Day.